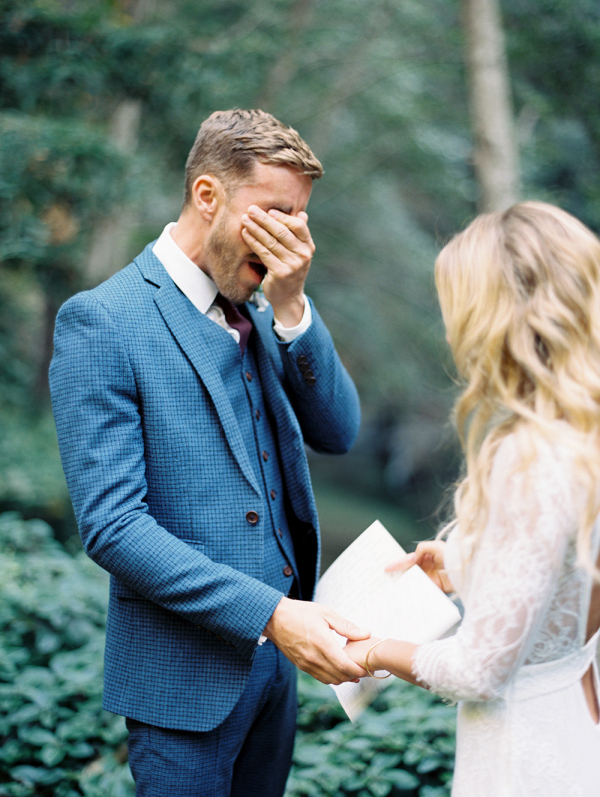 A watch is perhaps one of the most traditional gifts for the groom. If you know there’s a watch that your partner has always wanted, now is the chance to spoil him. 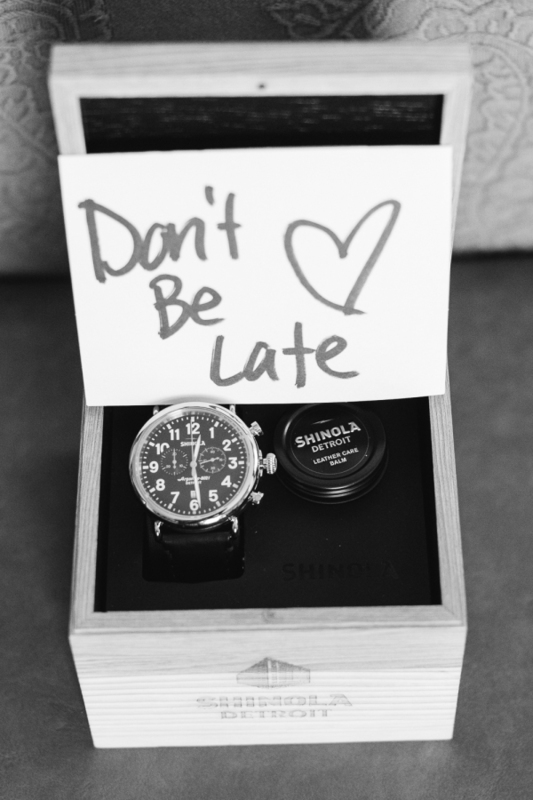 Add a cheeky note to the present such as ‘Don’t Be Late’ for when they open it on the morning of the wedding. Plus, whenever your hubby wears his watch he will always be reminded of your special day. 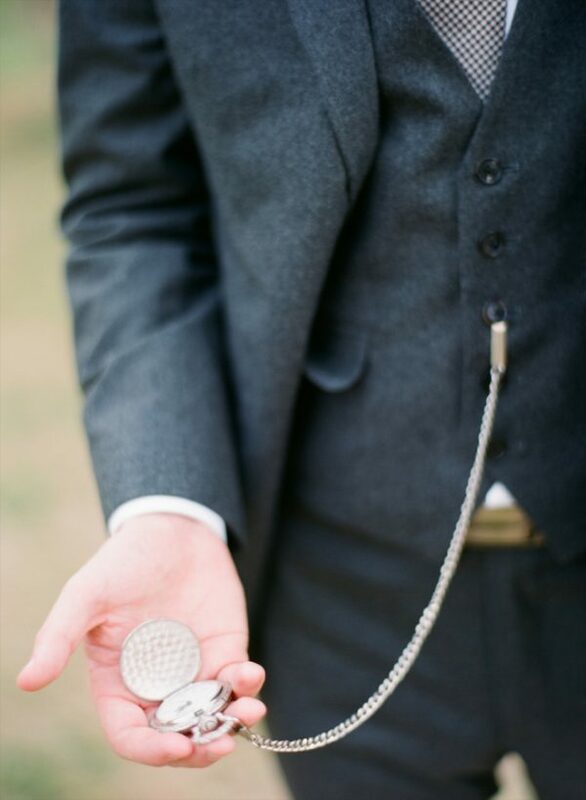 A vintage twist on the traditional watch, a pocket watch with a chain is a lovely gift for your groom-to-be. You could source an antique pocket watch with a fascinating history, or perhaps a family heirloom that has been passed down through the generations. 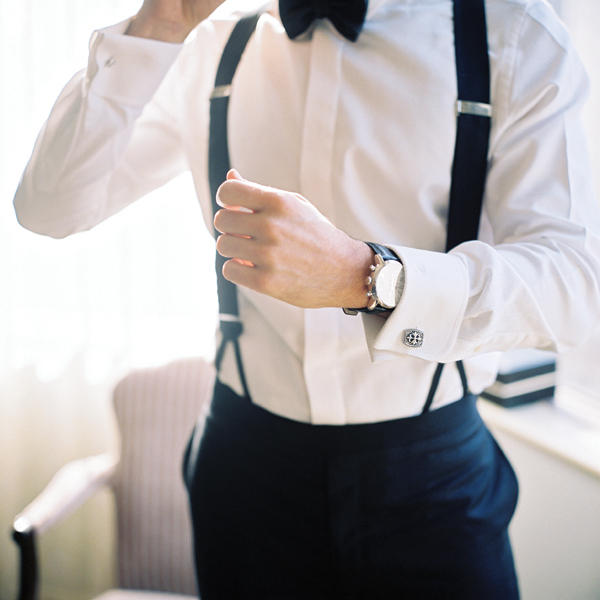 A pocket watch is one of the most thoughtful gifts for the groom, and it’ll look handsome worn with his wedding suit. 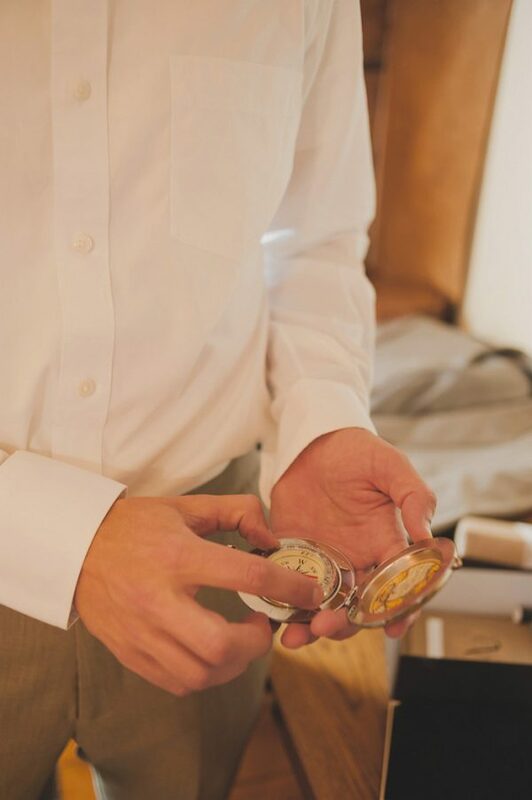 Why not gift your groom with a vintage compass? 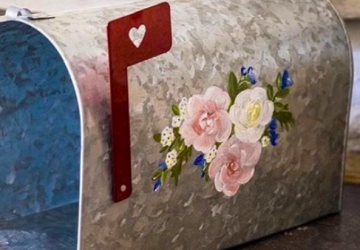 Add a sweet note such as ‘I’ll always be with you’ for an extra touch of romance. Alternatively, you could use the compass as a clue for any surprise adventures you may have booked. You could book something exciting for the honeymoon that he may need to use a compass for. A hip flask is always a fantastic choice when it comes to gifts for the groom. Give it to him on the morning of the day, and he can use it to get rid of any big day nerves! 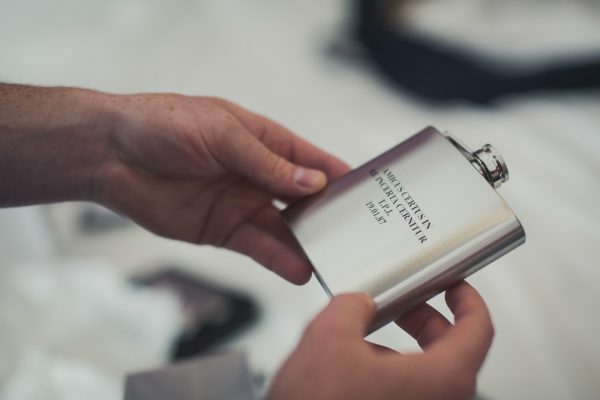 Add a personalised touch by engraving his name, initials or your wedding date on the front of the hip flask. 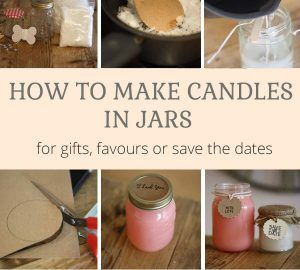 This is a gift that is both special and useful. 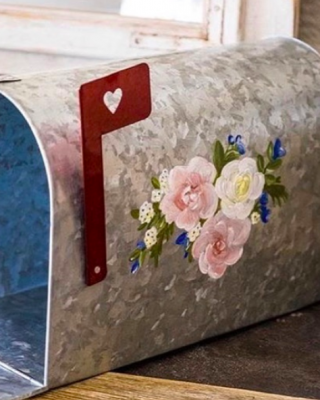 Sometimes the simplest gifts are the most thoughtful. 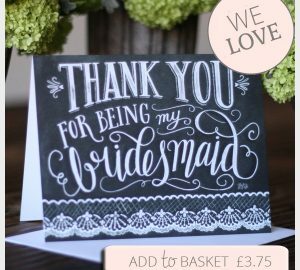 Why not write your groom a special message that you can give to him on the morning of your wedding day. It’ll help calm any nerves and he’ll love reading it. 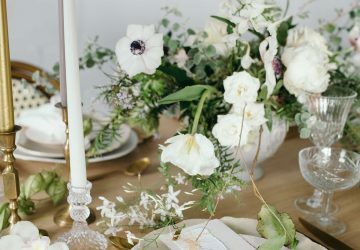 More and more couples are having a secret first look before the ceremony, and this would be a wonderful opportunity to exchange handwritten notes. 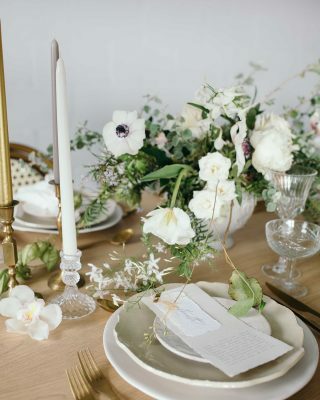 You could even write a journal capturing your favourite memories together, or your most cherished memories while wedding planning. Leave some space at the back so you can continue to write down your new memories as husband and wife. Cufflinks make great gifts for the groom, especially when they’re personalised. Give the cufflinks to him on the morning of the wedding so he can wear them on your special day. 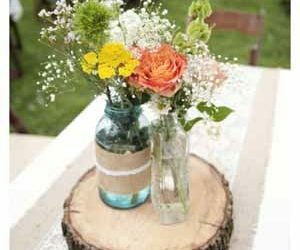 Silly gifts for the groom are a fab option if you’re always joking around with each other. 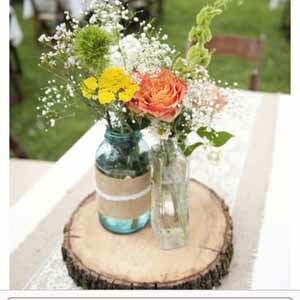 A pair of socks is a simple and inexpensive gift that your groom can wear on your wedding day. 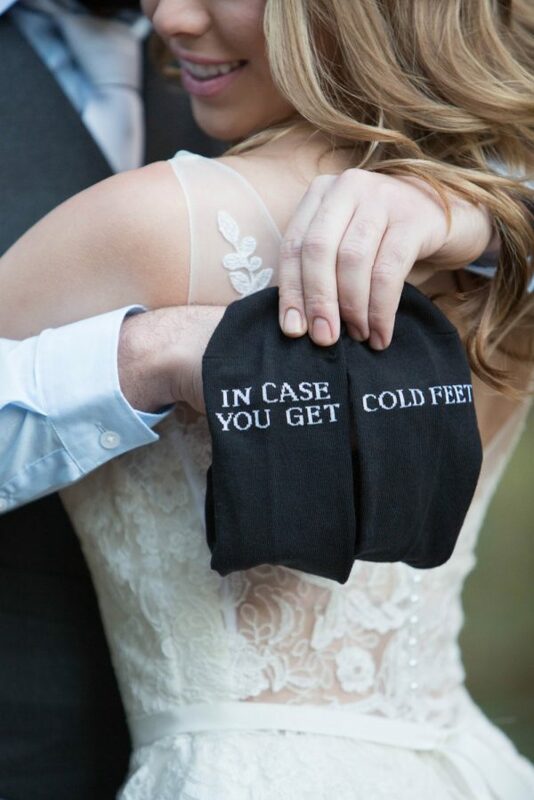 We love the idea of writing ‘in case you get cold feet’ on the socks! 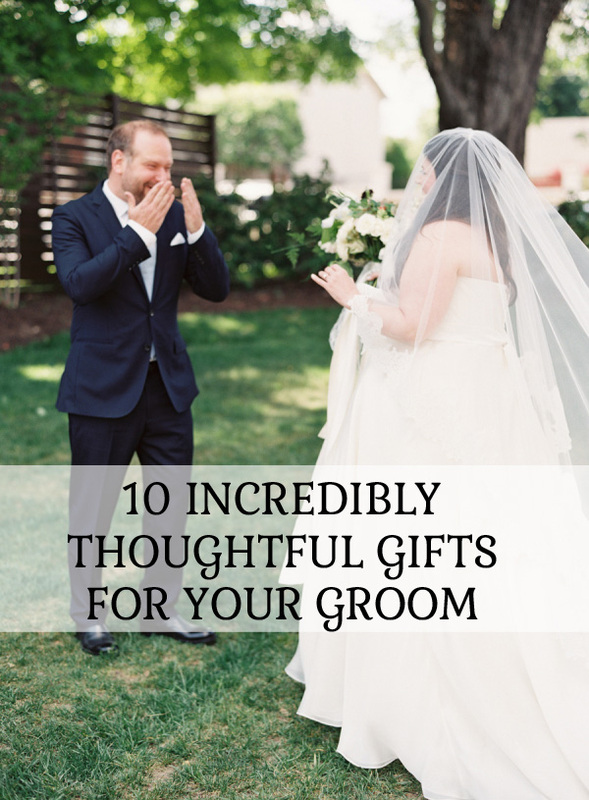 You can give your groom a gift that he can use after the wedding day too. 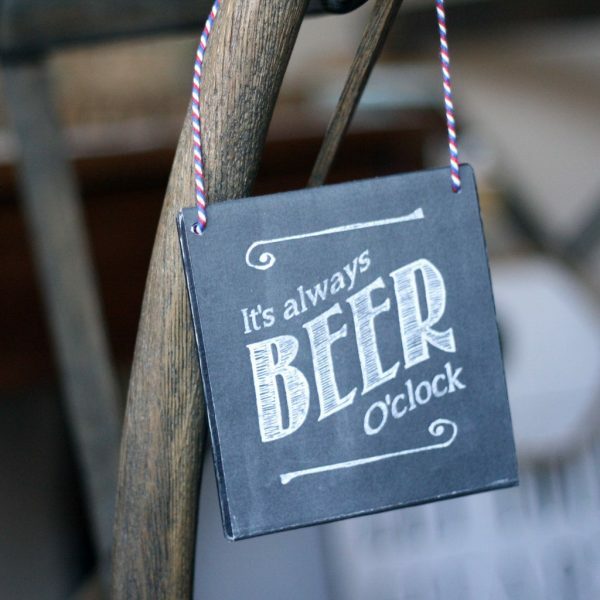 Our Beer O’Clock Chalkboard Sign is a fun gift that you can use as part of your home decor. 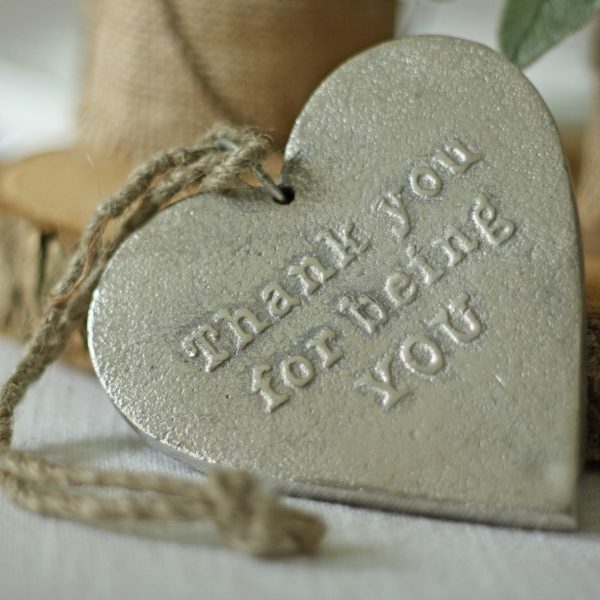 Get your groom something truly sentimental with our super sweet heart keepsake. 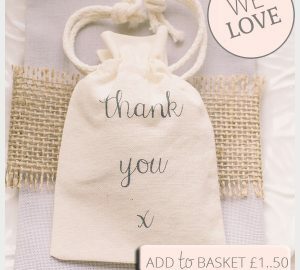 It reads ‘Thank you for being you’ and your partner will feel truly special receiving it. 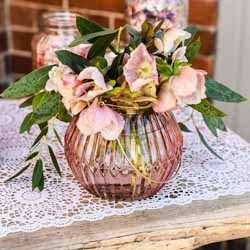 If you’ve already found your gift for the groom, we’ve got heaps of lovely ribbons and gift tags that can add a fabulous finishing touch to any present.